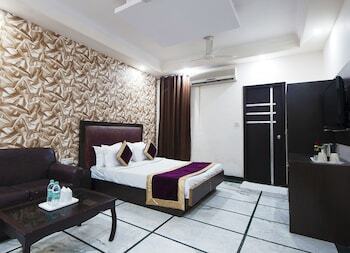 With a stay at Hotel Apra Inn in New Delhi (Karol Bagh), you'll be within a 15-minute drive of Sir Ganga Ram Hospital and Rajendra Place. Featured amenities include dry cleaning/laundry services, a safe deposit box at the front desk, and an elevator (lift). A roundtrip airport shuttle is provided for a surcharge (available on request), and free self parking is available onsite. When you stay at The Windflower Resorts and Spa in Pondicherry, you'll be steps from Paradise Beach. Free self parking is available onsite.